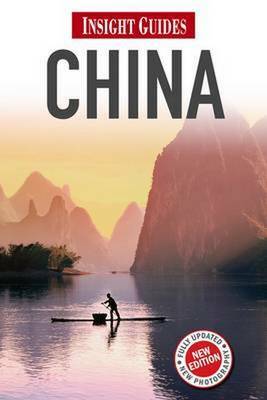 "Insight Guide China" is a comprehensive, full-colour guide to this enigmatic destination. The country's vast expanse is covered in detail, from the bright lights of Shanghai and Hong Kong to the awe-inspiring Great Wall, from the subtropical southwest to the Siberian north, the manicured gardens of Suzhou to the barren landscapes of Tibet. Our coverage ventures off the beaten track to ancient riverside villages and little-known backwaters. Thirty-five detailed maps, linked to the sights by numbered dots, help you to find your way around. China's fascinating history and culture are brought to life through evocative photography and absorbing text that is a real pleasure to read. Lavish photo features offer a unique insight into various aspects of the country, including Chinese opera and Chinese festivals, how the Great Wall was built, sacred Daoist and Buddhist mountains, and the colourful minority groups of the southwestern provinces. Our inspirational Best of The China section highlights the unmissable sights and experiences, while a comprehensive Travel Tips section gives you all the practical information you need to plan your trip. Our selective listings bring you the best hotels and restaurants across the country.